Eric van Dam | Littler Mendelson P.C. 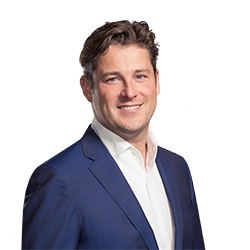 Eric van Dam is a founding partner of CLINT. He was sworn in as a lawyer in 2003 and associated with a U.S. law firm. He previously held several management board positions within the fashion industry. As board member and the company’s in-house lawyer (admitted to the Amsterdam bar) he had a pioneering role in the strong international growth of menswear retailer Suitsupply. Eric is a certified mediator, registered with the Netherlands Mediation Federation (MfN).